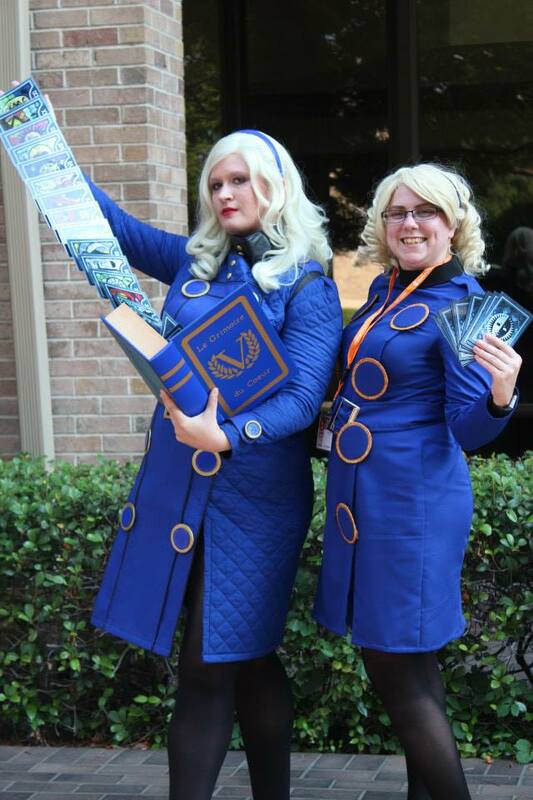 Why This Costume: One of my friends is a huge Persona fan, and asked if I’d join her and her boyfriend for a Velvet Room group at A-Kon. I had just finished playing though Persona 4 Golden when she asked, and thought it sounded like a fun opportunity! How I made it: Much like Batwoman, this wasn’t a particularly challenging build, but it did have a couple of unique elements to it. My first step was to create a mock-up of the base dress. I used McCall’s 6028 as a starting point. After blending out the shoulder yoke, I did a 1.5″ FBA and raised the front of the neckline 3/4″ to allow for the collar. I made the center front of the base dress hip length to allow for that super high leg slit. Base dress. Don’t mind the other con chaos happening in the background. I used quilted broadcloth for this dress from Fabric.com. 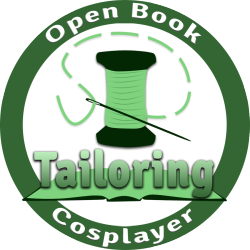 Broadcloth is not my go-to fabric for garments since it’s overall very meh, but I knew going into this project that time was essential. So convenience trumped quality. The front panel is an entirely separate piece made from a matching broadcloth. 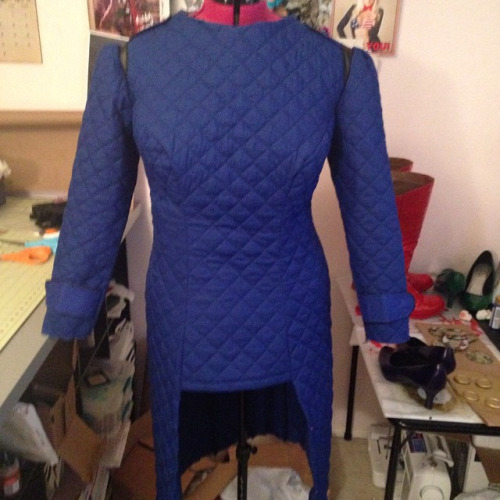 It’s 3 layers total: a lining, a heavily interfaced base, and a flat piped front. Once I sewed the front panel together, I very carefully sewed it to the front half of my dress by machine. I opted to top-stitch it instead of stitch-in-the-ditch to give it an extra visual pop. 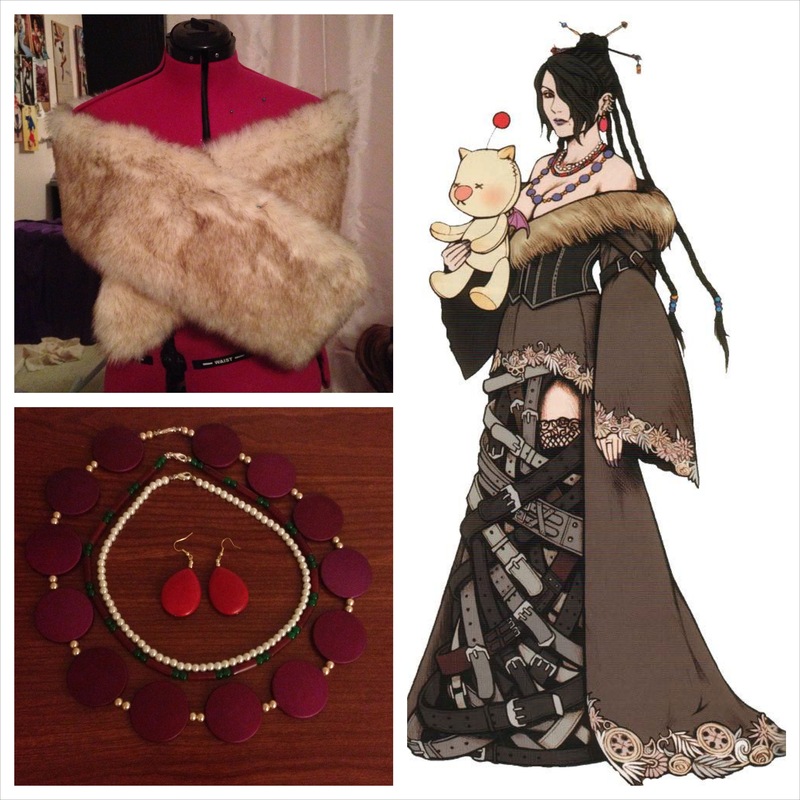 A huge thank-you to Yossi on Tumblr and Gen of Team Blase Cosplay for explaining how they made their Margarets! Front panel pinned in place. 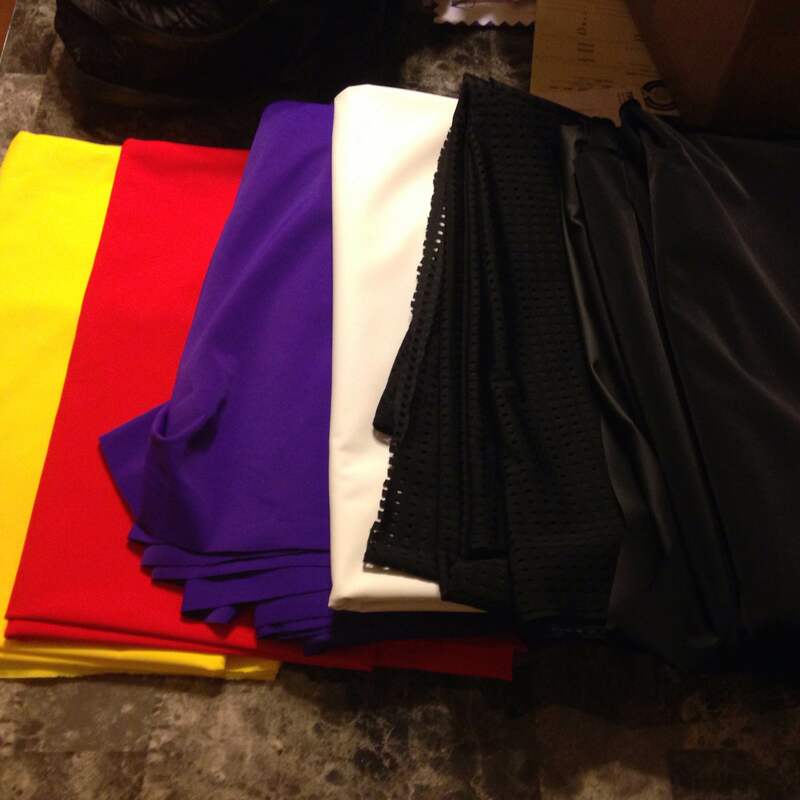 All of the trim on the dress is bias tape and other bits made from my Batwoman cape scraps. I wish I’d gone with my gut and taken the extra step to make regular piping opposed to doing flat piping. My flat piping was not as even all around as I’d like. I also wish that I’d made the shoulder section a bit larger. The collar gave me a small bit of trouble. Since this dress wasn’t drafted for a collar, I did have to play with the level of the neckline a bit to get it to work out. The gold buttons on the front were from my Captain Marvel boots, since I had to cut them off for Batwoman. My buttons were surprisingly fun to make! I have pretty shaky hands, so I didn’t trust myself to paint circles evenly. Instead, I picked up some jar toppers in the clearance aisle of Hobby Lobby, painted those gold, and topped them off with sticky-back resin domes that I painted blue. I didn’t trust the stick part of the domes to work after I painted them, so I used E6000 for added security. The smaller buttons are wooden buttons that I painted gold and blue. 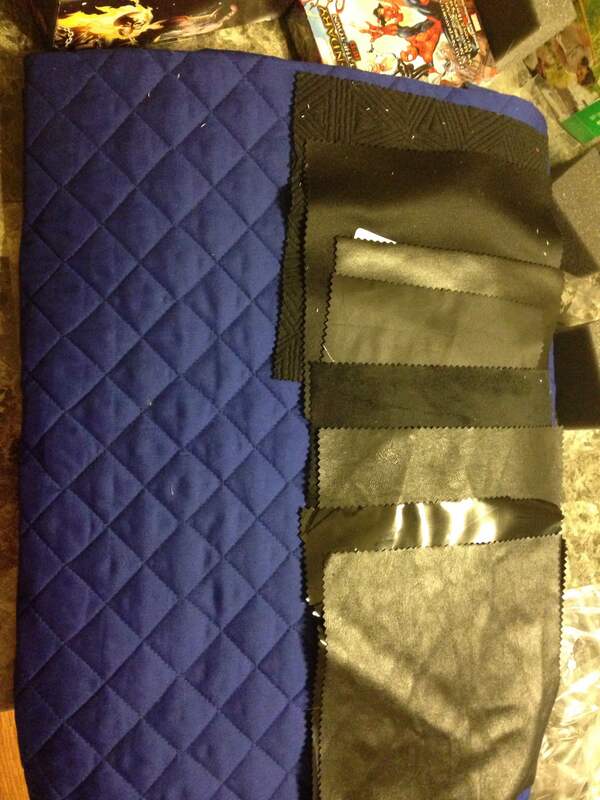 All of the buttons attach with Velcro. 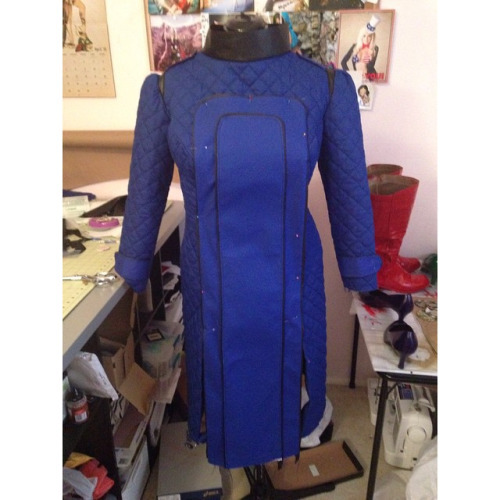 I used fabric fusible Velcro on the dress itself and industrial strength Velcro on the buttons. They held quite well after several hours of wear! The belt is made from the same material as the front panel and also trimmed with scrap Batwoman vinyl. 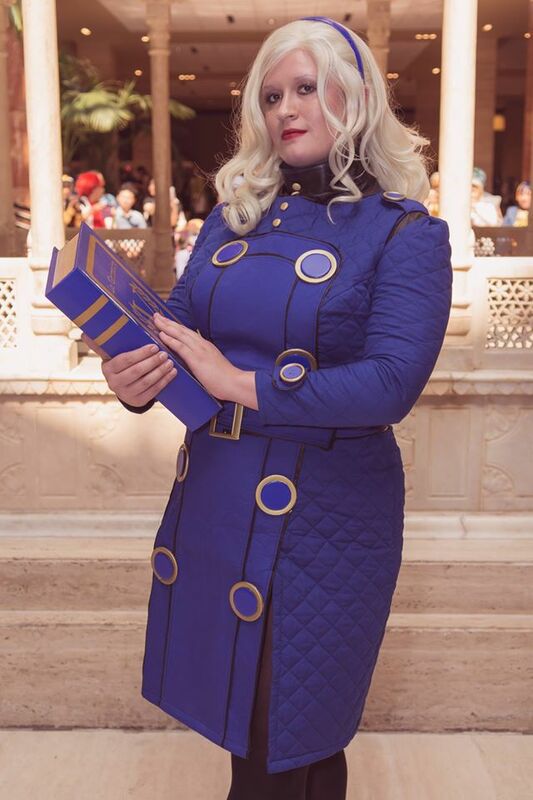 The buckle is the largest one I could find at Jo-Ann’s, and I painted it gold to match the buttons.The shoes were a reminder that monitor settings do not necessarily translate to real life. I started off painting my shoes in Angelus Dark Blue, but the first layer dried nearly black. So I ordered a second bottle of Sapphire (off of eBay since Dharma Trading Company’s shipping is insane), and that did the trick! 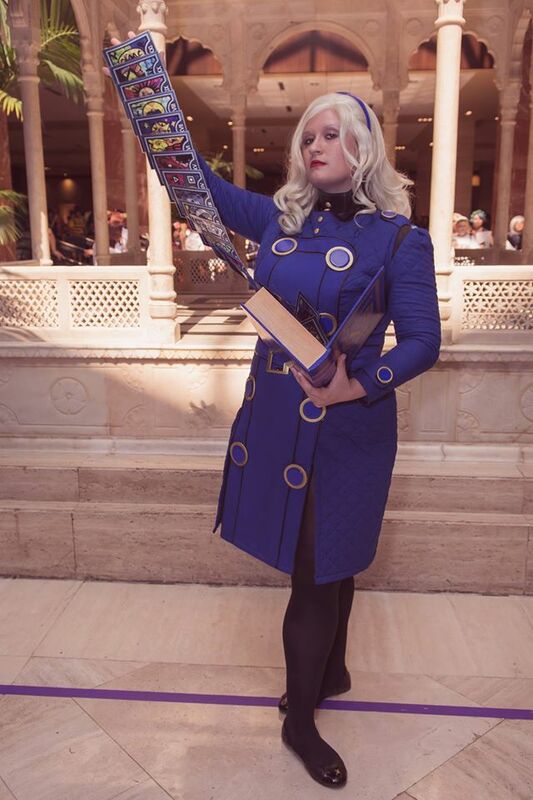 The book was by far the most time-consuming part of this costume. It took nearly 2 full weeks of working every evening. 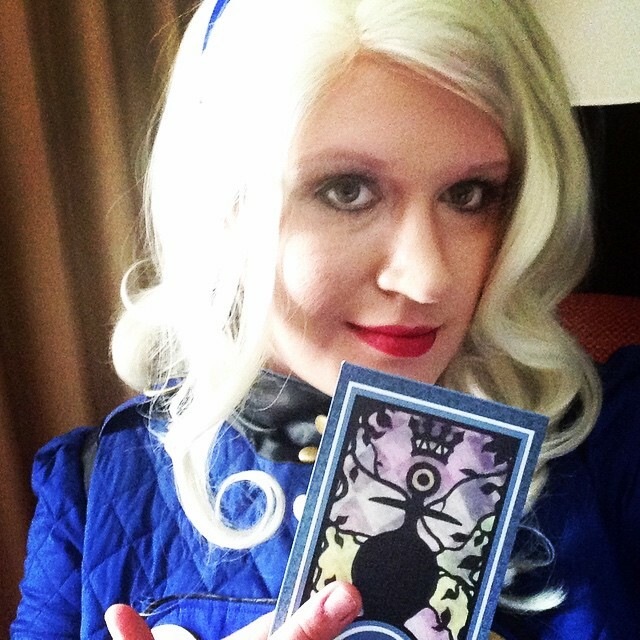 I used Callula Cosplay‘s tutorial on her Elphaeba Grimmerie, and pestered her with a ridiculous amount of questions. I will say that taking the time to properly sand and prime your book is essential. My first go at the book was a horrible flop with lots of air bubbles because I rushed the priming stage. I did notice some chipping on the edge of my book where the front flap opened, and Callula said it was probably due to the quality of my paint. Sad panda 😦 I’m looking into ways to mend (or at least disguise) the chipping on mine so I can use it again in the future. Callula cut out the letters for her book, but my attempt at that did not work well. Instead, I bought some scrapbook letters and painted them gold. Worked like a charm! The inside of my book is lined with blue and white thumb lights attached with industrial strength Velcro to give it that creepy magic vibe. Finally, I made a set of magic cards after chatting with Riddle’s Messy Wardrobe at Dallas Comic Con. This is a super simple project, but people absolutely loved it. After getting my cards printed off from OfficeDepot (thanks to Gen and Fe for the files! ), I threaded them with fishing wire and secured them with clear masking tape. Riddle used magnets to do her deck for Heroes of Cosplay, but since Margaret doesn’t wear gloves, I just made a loop at the top of my deck to run my finger through. Works well enough for photos! The base card is secured to the book with Velcro. I do need to work on posing with these, though. Photo by Payton Renee Photography. Both sets of magic decks made by me! Overall, I absolutely loved this costume. 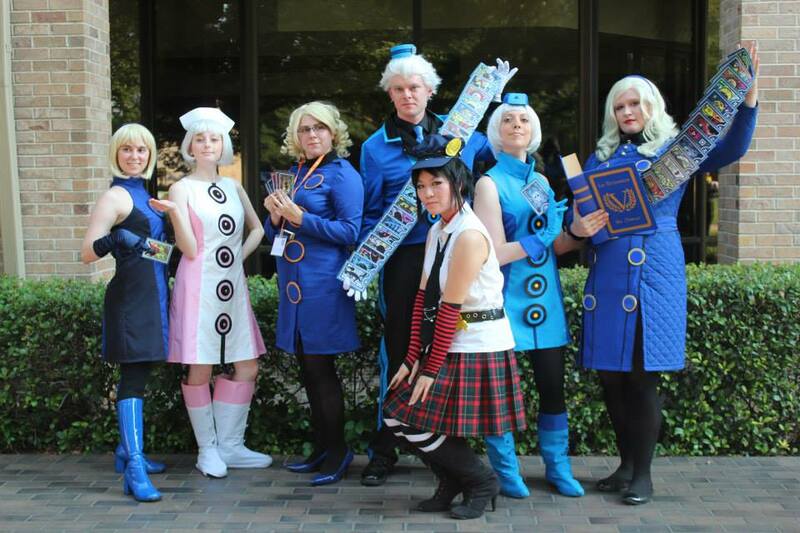 Our group was very well received and it was great to get some shots with a full Velvet Room group! 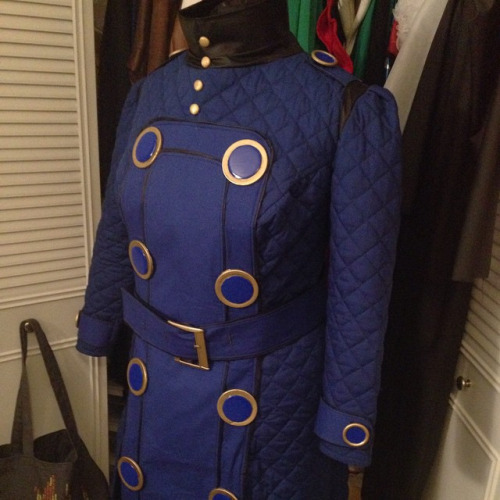 It’s also nice to have another comfortable costume in my arsenal, though I think I’ll save future wears on this one for cooler weather cons. After my experience with Batwoman at DCC, I only wandered outside for about 45 minutes, but even that was enough to turn me into a sweat monster! 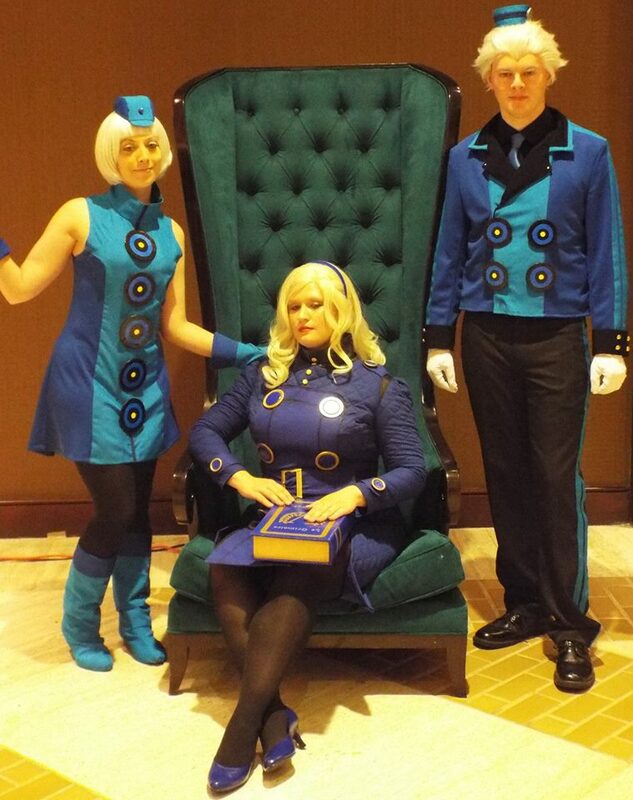 Velvet Room derpage. Clearly elder sister Margaret is not to be taken seriously. 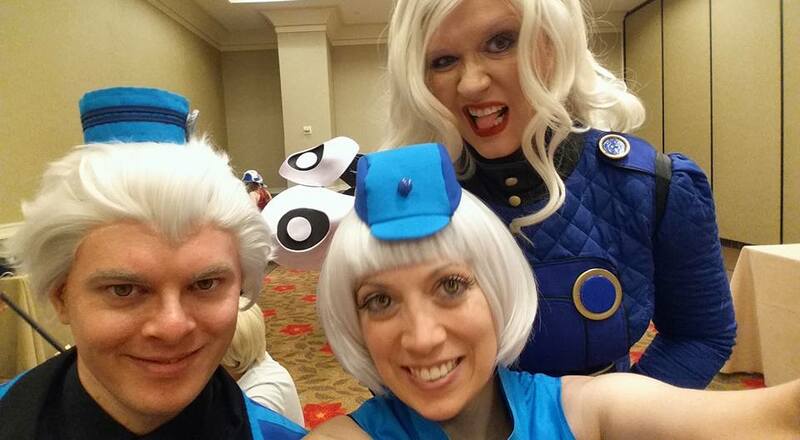 All of that said, I’m really looking forward to turning my attention toward my individual costumes again. I’m bumping up some more weather appropriate costumes for the rest of the summer! Have you ever made a costume that was totally inappropriate for the season you wore it? How did you handle it?